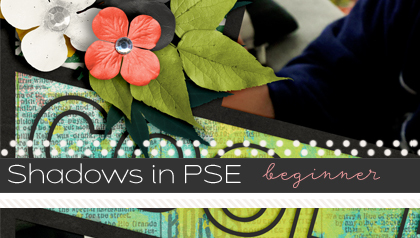 Posted by Erin Ranslow under Getting Started, New To Digiscrapping? Hi Everyone! 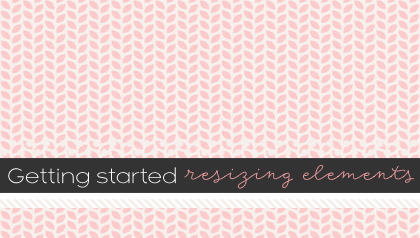 Erin here, and today I will show you how to resize your digital elements while maintaining the element’s proportions. 1. 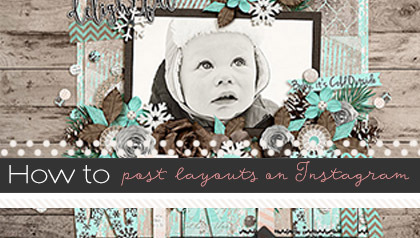 Have your layout open in your scrapping program. 2. 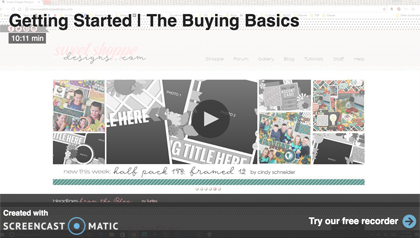 Drag and drop an element onto your canvas using the Move tool. 3. Now it’s time to resize the element. 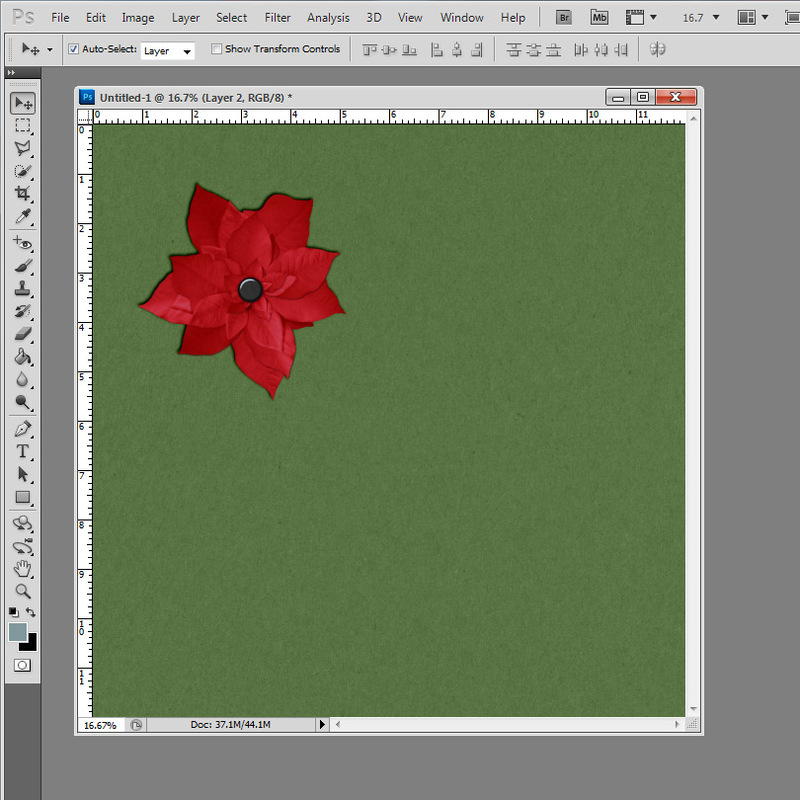 I will be resizing the poinsettia. 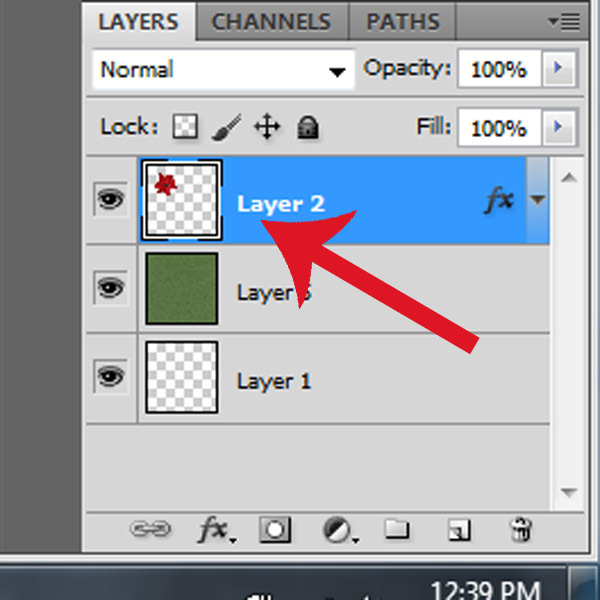 Make sure the element is selected in the Layers palette. 5. Now the fun begins! 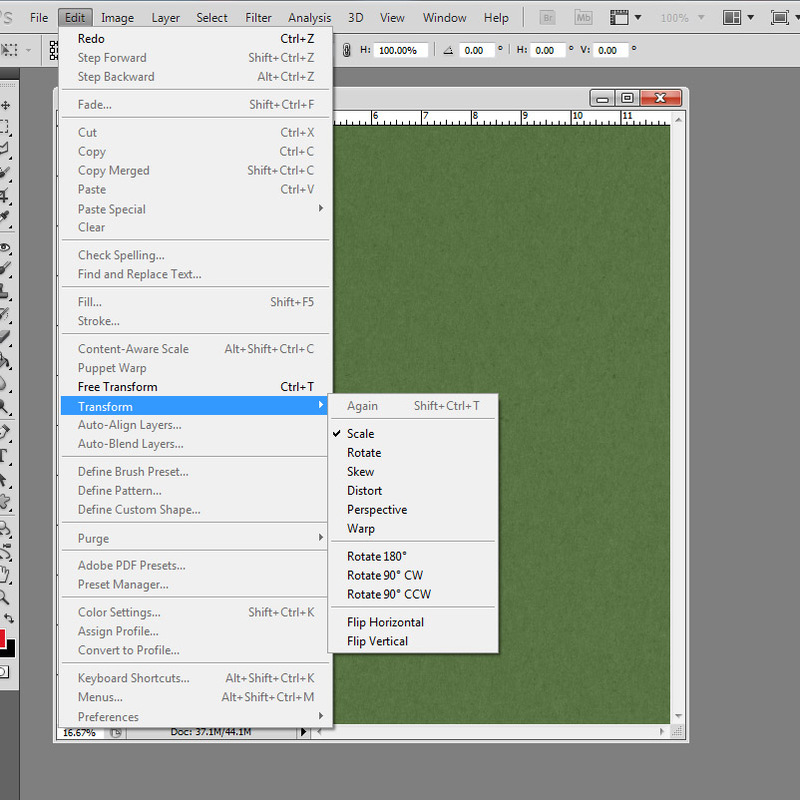 While holding down the Shift key, choose a corner of the box and make the element smaller. 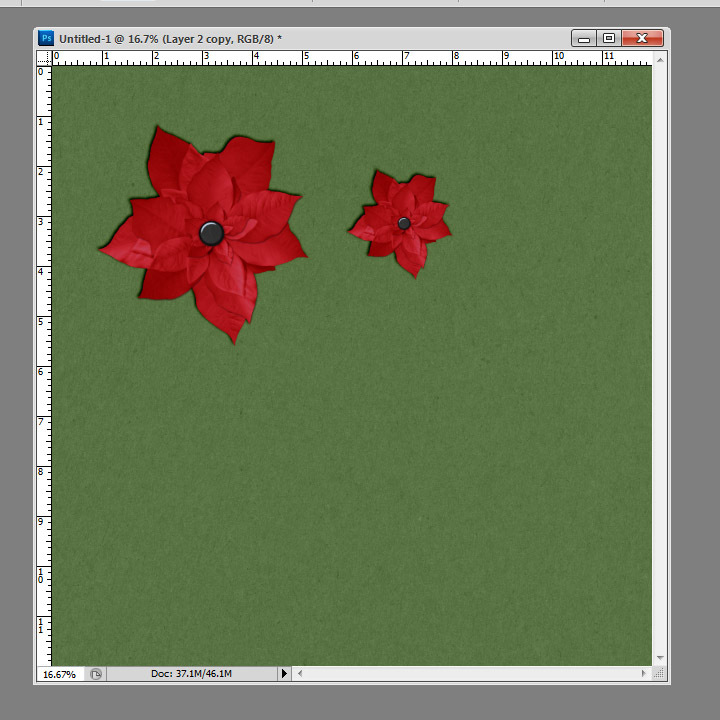 Here is the original poinsettia and the resized poinsettia. 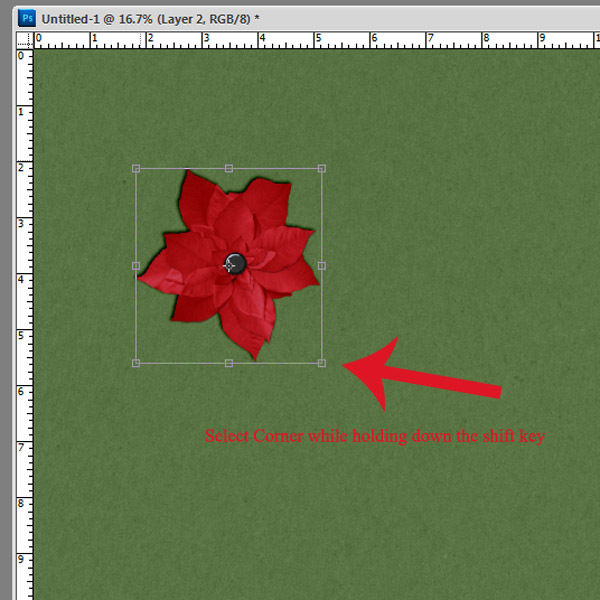 Because I held down the shift key, I was able to maintain the proportions and not end up with a squished flower! I hope this tutorial was informative! 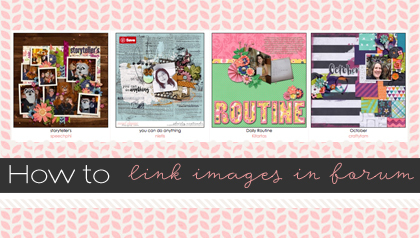 Happy Scrappin’!